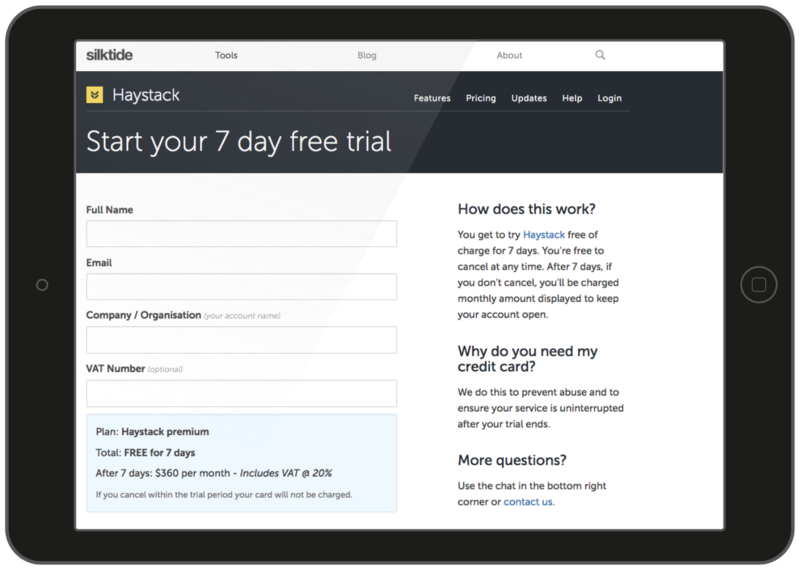 If you would like to try Silktide Prospect before signing up, then we offer a 7-day free trial. We recommend trialling the plan that is most suitable to your needs. Signing up is easy and you can do so here. If you are thinking about an Enterprise account, then please contact us and request a demo instead. You get to try Silktide Prospect free of charge for 7 days and you’re free to cancel at any time. After 7 days, and if you have not cancelled your subscription, you will be charged the monthly amount displayed on screen to keep your account open. We ask for this to prevent abuse, and more importantly, to ensure your service is uninterrupted after your trial ends. How do I cancel my subscription before I’m billed? As long as you cancel your subscription within the 7-day trial period, you will not be billed. To do this, please follow the instructions on this page.